How Beautiful Should Your Sentences Be? 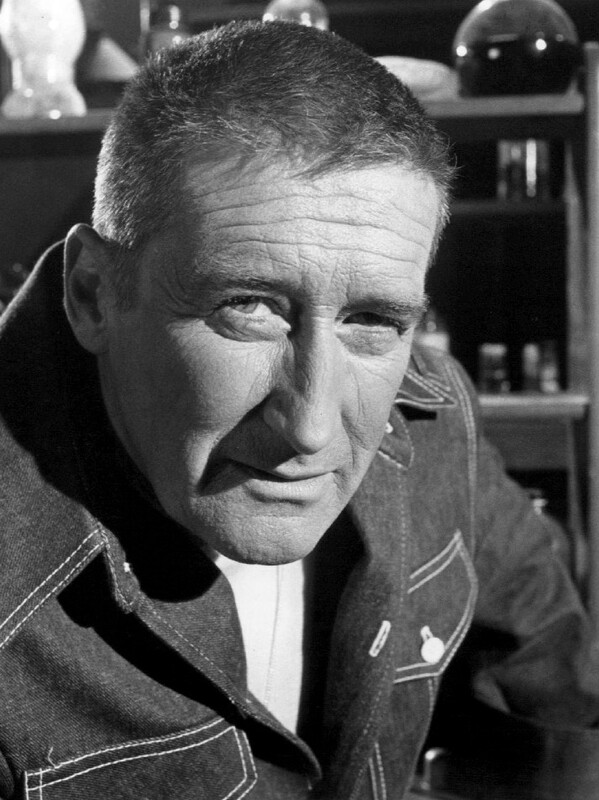 So said one of the all-time bestselling writers, Mickey Spillane. He was always getting bad-mouthed by literary writers (most famously Hemingway) for succeeding in the sweatshop of mass market paperback fiction. Many “big-shot writers” who wrote beautiful sentences did not take it well that this hardboiled typist was outselling them ten thousand to one. I thought about that quote recently as I listened to an agent and editor on a panel discussing “up-market fiction.” That seems to be what “everyone is looking for” in the traditional publishing world. But what the heck is it? Simply put, it’s fiction that blends the line between commercial and literary. To further examine this, let’s break down those two terms. Commercial fiction, essentially, refers to novels that fall into a typical genre (thriller, let’s say). 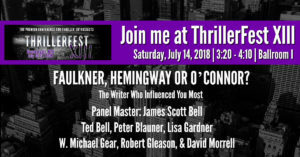 Commercial fiction can sell very well because it usually has a tight premise/logline (“Someone is trying to kill the president!”) and people like reading a category like thrillers because it’s exciting. Literary fiction refers to novels that don’t fit into any standard genre classification – romance, mystery, sci-fi, for example. Literary fiction requires the highest command of the language. Not pretentious, over-the-top purple prose – just simply excellent writing. 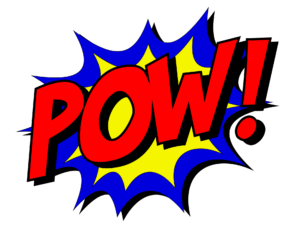 Literary fiction has a harder time selling because it’s not easily defined, and sometimes the premise is not easily explained (or just isn’t that exciting). So that brings us to “upmarket.” EVERYONE is looking for this genre. “But why, Chuck?” Well, think about it. It’s literary fiction, so it’s pretty damn good writing, but it has commercial potential. It has the ability to infiltrate lots of book clubs and start discussions and take off as a product. It’s a win-win for everyone. I’ve heard a lot of agents say that they are looking for “literary fiction with a commercial appeal,” or something like that. Well, one word that does the job of those six is “upmarket,” and that’s why you hear it so much. The agent on the panel said that literary fiction is “all about the sentences” and commercial fiction is “all about the plot.” Up-market fiction occupies “the space in between.” It has “more beautiful sentences” than raw commercial fiction. I guess I understand. But let me say, first of all, I don’t believe a collection of “beautiful sentences” necessarily adds up to a quality literary novel. If you’d like to find out why, read the famous (or infamous, depending on your point of view) essay called A Reader’s Manifesto. On the other hand, lovely prose in service to story can indeed elevate the fictive dream. I give you, e.g., White Oleander by Janet Fitch. It’s an interesting balance to consider. My approach is to start with plot and then consider my sentences, rather than start with style and root around for a plot. 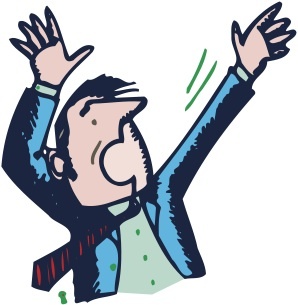 Therefore I counsel: Don’t write to impress your readers; write to distress your characters. To bring things back to Mr. Spillane, his writing was favorably contrasted to Thomas Wolfe’s in an essay by, of all people, Ayn Rand. And it seems to me she was right. Wolfe’s sentences often get in my way (I wrote about that here). But Spillane’s pull me into the story world. Read the opening of One Lonely Night sometime. So just to be clear, I really do love a bit of caviar now and then. But I’ll take a bag of salted peanuts anytime—and will likely finish the whole darn thing. So what repast do you prefer—caviar or peanuts? Do you think about writing “up market”? 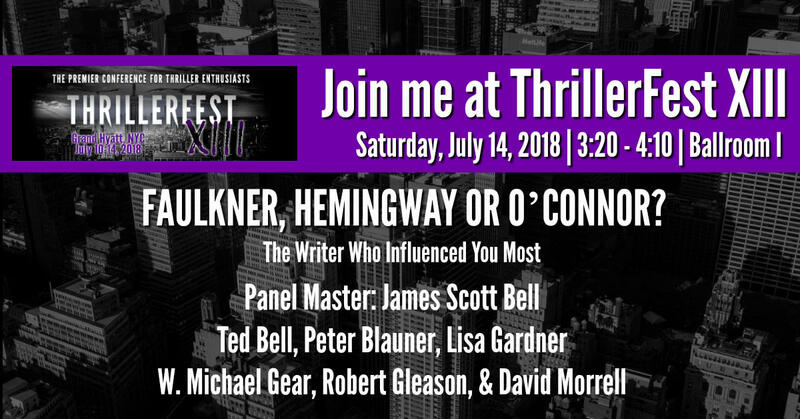 On July 14 I’ll be leading a panel at ThrillerFest on literary influences. The guests are David Morrell, Lisa Gardner, Ted Bell, Peter Blauner, Robert Gleason and W. Michael Gear. Still time to register for TFest. Hope to see some of you there. That subject got me thinking about the authors who have influenced me, so I thought from time to time I’d write about them, and some of the lessons learned. From the 1950s through the 1980s, John Dann McDonald was one of the most popular and prolific writers in America. 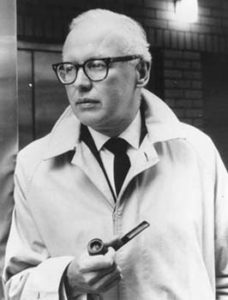 He was a crime writer who managed to break free of the genre and finally get serious consideration from critics. Seventy of his novels and more than 500 of his short stories were published in his lifetime. When he died in 1986, more than seventy million of his books had been sold. I first became seriously interested MacDonald when I read that he was one of Dean Koontz’s favorite writers. I’d read a couple of the Travis McGee books, for which MacDonald is most famous. But it was when I picked up some of his 1950s paperback originals that I really got into him. I went on a collecting binge for several years and now have a full collection of said paperbacks, including the one hardest to get, Weep For Me (1951). MacDonald refused to let it be reprinted. He was embarrassed by it, calling it a lousy imitation of James M. Cain. (I went to her in that shadowy place under the concrete arch. The early traffic slammed across the bridge, tearing the air. I took what I had won, the way any animal does.) It’s better than that (the folks at Random House have decided to give it life again) but was still hewing to the minimalist style popularized by Cain, Hammett, and Spillane—who were all beholden to Hemingway. In those early years MacDonald wrote science fiction, hard-boiled detective, crime, contemporary adult, and even a multi-protagonist novel (The Damned) centered around a single event, influenced no doubt by Thornton Wilder’s The Bridge of San Luis Rey. And, as he was looking, it happened to him again. It was something that had started with the first warm days of spring. All colors seemed suddenly brighter, and with his heightened perception, there came also a deep, almost frightening sadness. It was a sadness that made him conscious of the slow beat of his heart, of the roar of blood in his ears. And it was a sadness that made him search for identity, made him try to re-establish himself in his frame of reference in time and space. Fletcher Wyant. He of the blonde wife and the kids and the house and the good job. It was like an incantation, or the saying of beads. But the sadness seemed to come from a feeling of being lost. Of having lost out, somehow. He could not translate it into the triteness of saying that his existence was without satisfaction. He was engrossed in his work and loved it. He could not visualize any existence without Jane and the kids. Yet, during these moments that seemed to be coming more frequently these last few weeks, he had the dull feeling that somehow time was eluding him, that there was not enough of life packed into the time he had. MacDonald was ticked. He said he could write a book in thirty days that would be serialized in a magazine, become a book club selection, and be turned into a movie. Kantor laughed. MacDonald bet him fifty bucks. And, of course, won. The first lesson I picked up from a wide reading of MacDonald is what he termed “unobtrusive poetry” in the style. That’s not an easy thing to accomplish. You don’t want a style that calls so much attention to itself that’s all the reader is thinking about. On the other hand, it’s not stripped-down minimalism of the Hemingway-Cain school. She sat up slowly, looked in turn at each of us, and her dark eyes were like twin entrances to two deep caves. Nothing lived in those caves. Maybe something had, once upon a time. There were piles of picked bones back in there, some scribbling on the walls, and some gray ash where the fires had been. I’ve never forgotten that image. Indeed, I believe MacDonald could have been one of our best mainstream writers, a Book-of-the-Month Club darling like Norman Mailer or John O’Hara. He could have written “big” books that weren’t disasters. But his paperbacks paid the bills, and that’s what he kept producing. Which brings me to another aspect of his career that inspired me—his work ethic. MacDonald came out of corporate America and approached his writing like a job. He wrote each day from morning till noon, had lunch, went back to work and knocked off at five for a martini and dinner. He took Sundays off. MacDonald also left behind a legacy of short stories. Two collections of his crime and mystery stories are The Good Old Stuff and More Good Old Stuff. But I think I prefer his more literary collection, End of the Tiger. One of the stories, “The Bear Trap,” inspired me to try my own hand at this type of tale. So in honor of JDM, I’m making my story “Golden” free this week. Enjoy. MacDonald’s time came much too soon. He died at age 70 from complications arising out of heart surgery. He left his wife an estate worth $5 million (in 1986 dollars) and left the rest of us some really good stuff. Not a bad way for a writer to go after all. We talk a lot about the big stuff here at TKZ—plot, structure, characters, scenes, and so on. Today, I want to discuss the small stuff: words and sentences. But though they are small in stature, they are monumental in effect. It’s our sentences that create the pictures which deliver the stories to our readers. If they’re flabby (the sentences, not the readers) the book won’t have nearly the effect it should. There were three people in line in front of her. Danny Sullivan didn’t recognize the man behind the cart. Having to deal with a stranger wasn’t unheard of, but ever since the woman in Berlin it always made her throat dry and she had to force herself not to swallow. She was on high alert whenever it happened. Danny surveyed the area around her for anyone who looked suspicious. A woman sitting on a wooden bench had a stroller and a book, but she didn’t seem to be reading or paying any attention to her child. A man in a fully buttoned suit was leaning on a tree talking on his phone. He wouldn’t stand out if he loosened his tie, she’d keep him in her sight. She noticed a group of teenagers over her left shoulder, the one in the baseball cap and sunglasses seemed to be looking directly at her, she couldn’t be sure. She wasn’t paranoid, suspicious people could be extremely dangerous. There were two people in line in front of her. Danny turned her attention to the sandbox. Jacob and Jason were playing their favorite game, burying their cars then needing help to find them. Being that it was rare for their father to get a few minutes off in the middle of the day to meet his family at the park, Mark was unaware that the four-year-olds were conning him. She watched as he desperately looked for cars where the twins pointed even though they each knew he was excavating in the wrong location. To him, ruining his suit was a small price to pay if it meant he could play with his sons. Her family was a distraction. There was one person in line in front of her. Her hand shook as she reached into her bag preparing for the worst. Meetings like this always put her on edge. At least she was out in the open, unlike the time inside the rubbled hospital remains in Iran when the only thing she accomplished was getting out alive. Danny had been with the CIA for almost fifteen years, danger came with the job. Now, as an operative assigned to bring down a black market arms dealer, she expected to find herself in situations that put her life at risk. However, being in such close proximity to her family was a whole different kind of scared. JSB: Author, you’ve got the makings of a good scene here. CIA, something big about to go down, kids and husband close by. So let’s see if we can’t render this with more vigorous prose, more action, and less telling. There were three people in line in front of her. I want you to be on the lookout for sentences that begin with the There were… construction. It’s not ungrammatical, and I use it myself sometimes. But there are (!) other ways to deliver the same information. I mention it because you use this construction in three of the four paragraphs. I get that you’re showing the line getting shorter, but variety in the language would make this more inviting. Also, while it’s often done, beware of beginning a story with a pronoun (her) instead of a name. Yes, a writer could have a valid reason for doing so, but be darn sure about that reason. Danny Sullivan didn’t recognize the man behind the cart. Now we have a name, which gets us closer to the character from the jump. We have action—she’s looking and not recognizing. And we have a specific image—the man behind the cart. This opening line put us right into an actual scene. In medias res, as they say. OLD: Having to deal with a stranger wasn’t unheard of, but ever since the woman in Berlin it always made her throat dry and she had to force herself not to swallow. NEW: Dealing with a stranger wasn’t unheard of, but ever since the woman in Berlin it made her throat dry. She had to force herself not to swallow. OR: Dealing with a stranger wasn’t unheard of. But ever since the woman in Berlin it made her throat dry. She had to force herself not to swallow. In general, compact sentences increase tension. Grammatically, there’s nothing wrong with the first version. But when you can cut words and still convey the same information, try it. Especially if you’re writing a thriller. He wouldn’t stand out if he loosened his tie, she’d keep him in her sight. She noticed a group of teenagers over her left shoulder, the one in the baseball cap and sunglasses seemed to be looking directly at her, she couldn’t be sure. Odd use of commas. Change each comma to a period and I think you’ll see it reads better. Third paragraph: As I’ve already mentioned, There were… should go. Also, we can cut some more flab. Try it this way: Two people to go. Danny looked at the sandbox. In fact, you should cut the last line of each paragraph. There’s a little guideline called RUE (Resist the Urge to Explain). Each of your last lines is an author explanation of what we’ve just read. Let the action speak for itself. The fourth paragraph begins: Her hand shook as she reached into her bag preparing for the worst. Meetings like this always put her on edge. At least she was out in the open, unlike the time inside the rubbled hospital remains in Iran when the only thing she accomplished was getting out alive. Her hand shook as she reached into her bag. At least she was out in the open, unlike the time inside the rubbled hospital remains in Iran. Now we have micro-mysteries. What is she reaching for? Why was she in Iran? Micro-mysteries are great in opening pages. They compel the reader to read on. So cut the rest of the paragraph, which is plain exposition—CIA, fifteen years, black market. Instead, let us see by Danny’s subsequent actions what her skills are. I recall an action movie, The Long Kiss Goodnight starring Geena Davis. She’s this nice, prim wife in a small town. But when she’s viciously attacked in her home, she suddenly has this amazing skill with a knife, and dispatches her attacker with lethal force. Author, you’ve got the stuff here for a tense opening page. Rework it. Cut and shape those words so they punch us in the heart. All right, kids. Your turn. 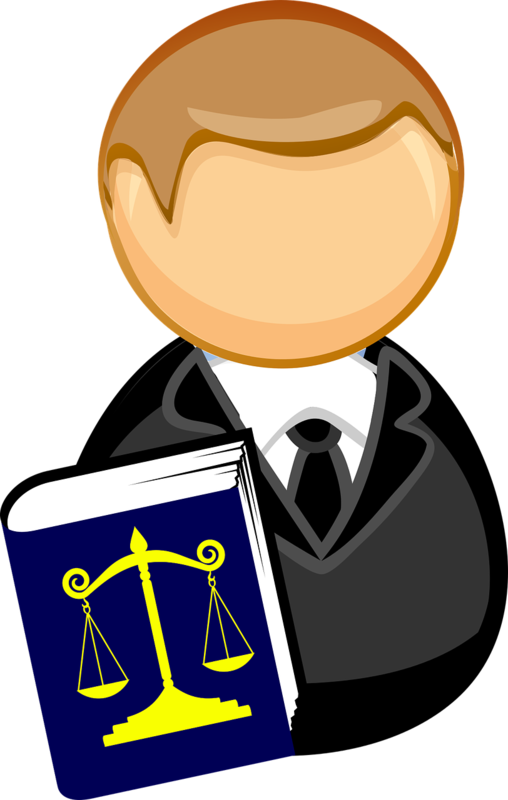 Don’t Kill Your Darlings—Give Them a Fair Trial! I’ve never been a big fan of the writing admonition to Kill your darlings. It’s been a virtual axiom among writers for decades. Yet it seems to me about as useful as Destroy your delight and as cold-hearted as Drown your puppies. I mean, if something is your darling, should your first instinct be to end its life? Sounds positively psychopathic. Isn’t a darling at least owed a fair trial? At least Sir Arthur was honest enough to call it murder! But murder requires malice aforethought, and that is a terrible way to think about a darling. Darlingicide should be outlawed, not encouraged! Which means sometimes a darling stays, sometimes it goes, and sometimes you give it a skillful edit. It’s mostly a matter of ear, what it sounds like. It’s that thing called voice, which is (as I’ve defined it) a synergy of author, character, and craft. You can develop an instinct for the right sound. The more you practice, the better you get. Then I don’t kill the darling. But I do show her the door. Much more civilized. There’s a fine line between memorable dialogue and dialogue that seems to be straining too hard to be memorable. In Revision and Self-Editing I suggest “one gem per act” as a rule of thumb. A line that really shines. One that you work and re-work. Perhaps this line went through a few iterations. Anything more added to it would have killed the effect. It would have been too darling. Make sure your dialogue is true to the character who speaks it and true to the moment. “I don’t know what you mean,” Audrey said. Sally felt the pull on her heart. Did Audrey really not know? How could she not? “Do I have to spell it out for you?” Sally said. Her hands trembled as she waited for Audrey to answer. “Maybe you’re talking about Frank,” Audrey said. Frank’s name on Audrey’s lips made Sally stiffen. If only Frank were really there! But she mustn’t let Audrey see any longing in her eyes. “I think we should leave Frank out of this,” Sally said. Audrey smirked. Oh, how Sally hated that smirk. Since they were kids, that smirk had always driven Sally crazy. “Do I have to spell it out for you?” Sally said. Audrey smirked. Oh, how Sally hated that smirk. There are times when you do want to emphasize what’s going on inside a character. Times when you want to “go big” for dramatic effect. And you should. I have a suggestion for you: overwrite those emotional moments the first time around. Go for it. Come back the next day and edit it a bit. When you go over your first draft, edit some more. Get feedback from a crit partner or trusted friend on those pages. Keep what works and trim the rest. You’ll eventually feel the right balance. It pleases me greatly to write darlings. So I don’t immediately plot their demise. I let them sit, I look at them again, I have my wife render an opinion, and then I decide if they must go. They get a fair trial. And sometimes they are set free! So how do you treat your darlings? I have a good friend who’s a college English prof. He’s an expert in American Lit, with a specialization in Thomas Wolfe. I made some attempts to read Wolfe back in college, but quickly got over it in favor of his contemporary, Ernest Hemingway, and one of his heirs, Jack Kerouac. Now there is a major motion picture out about Wolfe and his editor, the legendary Maxwell Perkins. The movie (which I have not seen yet) is called Genius, based on A. Scott Berg’s award-winning book about Perkins. So it seemed like a good time to break out my old copy of Look Homeward, Angel and try again. Almost immediately I got frustrated. There is a lot of prose (Wolfe once admitted that his great fault was “too-muchness.”) that is mostly narrative summary. I knew this was supposed to be a novel about a boy named Eugene Gant. But I was not picking up any reason to care about Eugene, the Gants, or the town of Altamont where everything takes place. After about 150 pages I sent an email to my friend, asking him what I was missing. He sent me a paper he’d done for a conference on how we should approach Wolfe. Wolfe was not interested in writing a traditional novel with an identifiable plotline, my friend explained. Wolfe was, rather, writing to immerse us in a world. He wants us to live there, experience moments and settings. He wants us to feel life deeply even through mundane details. With sharp whetted hunger he thought of breakfast. He threw the sheet back cleanly, swung in an orbit to a sitting position and put his white somewhat phthisic feet on the floor. Standing up tenderly, he walked over to his leather rocker and put on a pair of clean white-footed socks. Then he pulled his nightgown over his head, looking for a moment in the dresser mirror at his great boned structure, the long stringy muscles of his arms, and his flat-meated hairy chest. His stomach sagged paunchily. He thrust his white flaccid calves quickly through the shrunken legs of a union suit, stretched it out elasticly with a comfortable widening of his shoulders and buttoned it. Then he stepped into his roomy sculpturally heavy trousers and drew on his soft-leathered laceless shoes…. I looked up phthisic. It means a “wasting disease” like tuberculosis. A few pages later Wolfe writes about nacreous pearl light. Back to the dictionary! And guess what? Nacreous means pearly. So it’s not just a ten-dollar word, but I think Wolfe used it redundantly. And then there are times when Wolfe pops in with author intrusion. To be fair, that’s part of his experiment. But we have things like this: The seed of our destruction will blossom in the desert, the alexin of our cure grows by a mountain rock, and our lives are haunted by a Georgia slattern because a London cut-purse went unhung. But then … what does that passage even mean? One more: Eugene got back his heart. He got it back fiercely and carelessly, with an eldritch wildness. Good thing I had the dictionary right next to me! Eldritch, adj., weird; eerie. Come on, Tom! Why do you do this? Why do you slatternly drive the alexin of phthisic prose eldritchly before my white-footed socks? Yet in deference to my friend, I’m going to darn well finish Look Homeward, Angel. But I have to say it ain’t easy. Does that mean I only prefer books with stripped-down style? Far from it. I do want some style, some voice. But I want it the way John D. MacDonald described it: unobtrusive poetry. It’s sort of like actors. I’ll confess: I’ve never been a big fan of Laurence Olivier. I always feel like I’m watching an actor working a bit too hard. I admire the craft, but I see the craft. 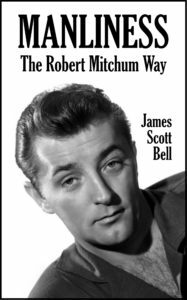 I never feel that way about, say, Robert Mitchum. Mitchum’s performances always look easy. Which is why he is often underrated as an actor. How does all this translate to your writing? Don’t use a word that a majority of readers will have to look up. Get the story to your audience without needless obstacles, like phthisic feet. Major in the voice “formula” of character + author + craft. See my post on that subject here. A heightened style is fine if we don’t stop to stop and try to figure out what you mean. I like high style and even lyricism – when it works. For instance, in Ken Kesey’s Sometimes a Great Notion. It’s Wolfeian in heft and experimental in style, yet it doesn’t require a dictionary. And it has a plot! It’s okay to overwrite when you draft. That’s often how you get the right touch of emotion and deepen a character. Write like you’re in love. But cut mercilessly to make the final product accessible to the reader. This is where you buckle your tool belt and get down to the real work. Edit like you’re in charge. 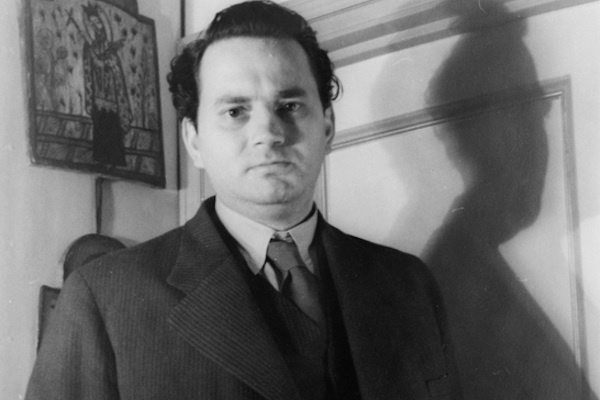 Now, I don’t want to leave poor Thomas Wolfe hanging out there with Harold Bloom sauce all over him. The guy was in love with writing. It was his life. I can’t deny his passion. So I’ll give him a fair hearing. But when I’m done with Look Homeward, Angel I have a feeling I’ll want to crack open a Travis McGee. So are there books out there you’ve tried to like, but can’t? You don’t have to name names **COUGH**Middlemarch**COUGH**, but tell us why the book didn’t work for you. • A combination of character, setting, page turning. • A distinctive style, like a Sergio Leone film. • It’s who you are. • Personality on the page. • It’s something written from your deepest truth. • Your expression as an artist. Well, okay. I guess. But how do we develop voice? Indeed, is it something that can be developed? Or is it something you’re born with? What if you write in different genres? Is your voice in a noir thriller going to be the same as your voice in a romance? Should writers even worry about voice? I counsel my students to be true to the story they’re telling, true to the characters, and not to worry about this elusive thing everyone says they want. If the tale is well told, that’s the main thing. But I do think there is something to be said for trying to coax out a little more voice, even though you can never quite nail it down to pure technique. So what is it that does the coaxing? In a word, joy. I think Professor Hamilton nailed it. When an author is joyous in his telling, it pulses through the words. When you read a Ray Bradbury, for instance, you sense his joy. He was in love with words and his own imagination, and it showed. I recall a Writer’s Digest fiction column by Lawrence Block, back in the 80’s, and he was telling about being at a book signing with some other authors, one of whom was a guy named Stephen King. And Stephen King’s line was longer by far than for any of the other guys. Which got Larry to thinking, what was it about King’s stuff? And he decided that it was this joy aspect. When you read Stephen King, you feel like you’re reading an author who loves writing, loves making up tales to creep us out, enjoys the very act of setting words down on paper. Because when you’re joyful in the writing, the writing is fresher and fuller. Fuller of what? Of you. And that translates to the page and becomes that thing called Voice. So the question is, how can you get more joy into your writing? 1. Be excited about your story. If you’re not jazzed about what you’re writing, you can’t be joyful about writing it. Dwight Swain, the great writing teacher, once said that the secret of excitement is to go deeper into your characters. Create more backstory, more secrets, more complexity, and you’ll get excited again. 2. Write at your peak “freshness” time. Find out when you’re most creative and awake and alive. Write for all you’re worth during that time. 3. Take a break when it’s drudgery, and do something else for awhile. I find that if I read a passage by one of my favorite writers, I soon enough get excited about writing and want to go back to my project. 4. Try a dose of Dr. Wicked. This neat little program can be accessed online, or downloaded to your desktop for ten bucks. Basically, it makes you write fast, because if you don’t it will soon emit a terrible sound that will sandpaper your brain. Writing fast, without thinking too much, is fun, and many times you’ll tickle out some of your best stuff that way. 5. Picture the reward. Now and then you need to daydream about your finished book and all the happy readers who are going to enjoy it––and who will put you on their favorite authors list. For more on voice, please see my book on the subject. So what about you? Do you find joy in your writing? If not, what are you going to do about it? Yesterday, my blog mate, Kathryn Lilley, discussed market research and why consumers choose one product over another. To continue Kathryn’s theme, I propose the question: Why are people motivated to purchase one book over another? Is it the author? How about the cover art? The cover blurbs from other writers? The title? The synopsis on the back or inside liner? All of the above are important, that’s for sure. But I believe one of the biggest factors in motivating a purchase of a book is “brand”, or lack of it in the case of not making the purchase. Why brand? Readers want consistency. Think of food. 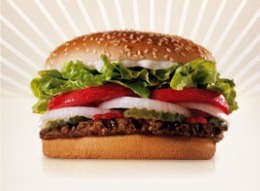 Everyone knows exactly what a Burger King Whopper tastes like. The Burger King brand is known worldwide because they found something that people like and they keep repeating it. I can walk into a Burger King anywhere on the planet and I know what to expect. The same goes for McDonalds, Pizza Hut, Starbucks, KFC, Taco Bell, and hundreds of other well established brands. If I crave a Big Mac, there’s only one place to get it. Now I know what you’re thinking. I’m a debut author. I have no brand. Or I only have a couple of books out. Not enough time to establish a brand yet. Ask yourself this: how strong was James Patterson’s brand when he published Along Came A Spider in 1993? Probably not as strong as it is today. He started with a good story, quality writing and a compelling package, and built it into the James Patterson brand combining it with other vital branding items. Branding goes way beyond story content, style, voice, and other writing elements. It involves your book covers, your website, your blog, your marketing collateral, how you dress in public at signings and conferences, how your email signature is worded—in other words, your brand is your message working in tandem with your personal “packaging”. The good news is that today we have even more avenues for building our brand than Mr. Patterson did 16 years ago. Now think about the rest of your collateral material such as business cards, post cards, posters, bookmarks, newsletters, bulletins, etc. Do they project your brand? Are they an extension of your book covers and website? Again, if you can’t achieve a totally consistent personal package, find a professional designer that understands branding and packaging. The investment will pay for itself in the long run. A great example of this is Vince Flynn. 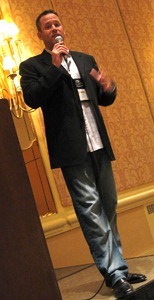 He not only delivers a consistent level of quality in his writing and stories, but when he appears in public as “Vince Flynn the author” for a signing or conference, he acts out the part. His physical brand is obvious: jeans, shirttail out under a sports jacket. In person, he looks like his cover photo. Remember that the first physical connection a reader has with an author is the photo on the back of a book. That portion of the personal packaging had been set in the readers mind. One day that reader/fan will be at a book signing and in walks the author. The reader has a consistent level of expectancy in all things concerning the author’s brand. If the author understands that, it should all come together. They immediately relate. Every writer, at one time or another, suffers from what Freud called style envy. 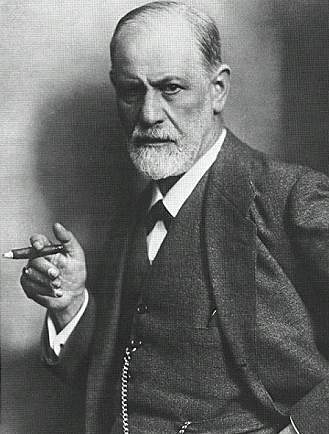 Or maybe it wasn’t Freud. Maybe it was Gertrude Stein. By style envy I mean we read things that make our jaws drop and our fingers ache. We think, I could never write anything like that. I’m a fraud! Pay no attention to that man behind the curtain! There was a desert wind blowing that night. It was one of those hot dry Santa Anas that come down through the mountain passes and curl your hair and make your nerves jump and your skin itch. On nights like that every booze party ends in a fight. Meek little wives feel the edge of the carving knife and study their husbands’ necks. Anything can happen. You can even get a full glass of beer at a cocktail lounge. Mine was the better punch, but it didn’t win the wrist watch, because at that moment an army mule kicked me square on the back of my brain. I went zooming out over a dark sea and exploded in a sheet of flame. I caught a whiff of his body odor as he turned. He had slathered himself with cologne in lieu of bathing, but his scent penetrated the chemical astringency. He smelled like a neglected cage. The sun that brief December day shone weakly through the west-facing window of Garrett Kingsley’s office. It made a thin yellow oblong splash on his Persian carpet and gave up. She was old all my life. Even when I was sitting in the red dirt, fascinated with my own toes, Ava’s face had a line in it for every hot mile she ever walked, for every fit she ever threw. Her hair was long and black as crows, streaked with white, and her eyes, behind the ancient, yellowed glass of her round spectacles, were pale, pale blue, almost silver. The blind have eyes like that, that color, but Ava could see fine, Ava could see forever. She could tell your fortune by gazing into the dregs of your coffee cup, and swore that if the bottoms of your feet itched, you would walk on strange ground. She could be gentle as a baby and sweet as divinity candy, but if her prescription was off, or if she just got mad, she would sit bolt upright in bed at three o’clock in the morning and dog-cuss anyone who came to mind, including the dead. Some days she would doze in her rocker and speak softly to people that I could not find, even by looking under the porch. Now I know I was just listening to her dreams. So, do you ever suffer from style envy? Who are some of your favorite stylists?